Much like paint, makeup is only a medium… even the best product cannot create a masterpiece. The secret lies in how you use it. 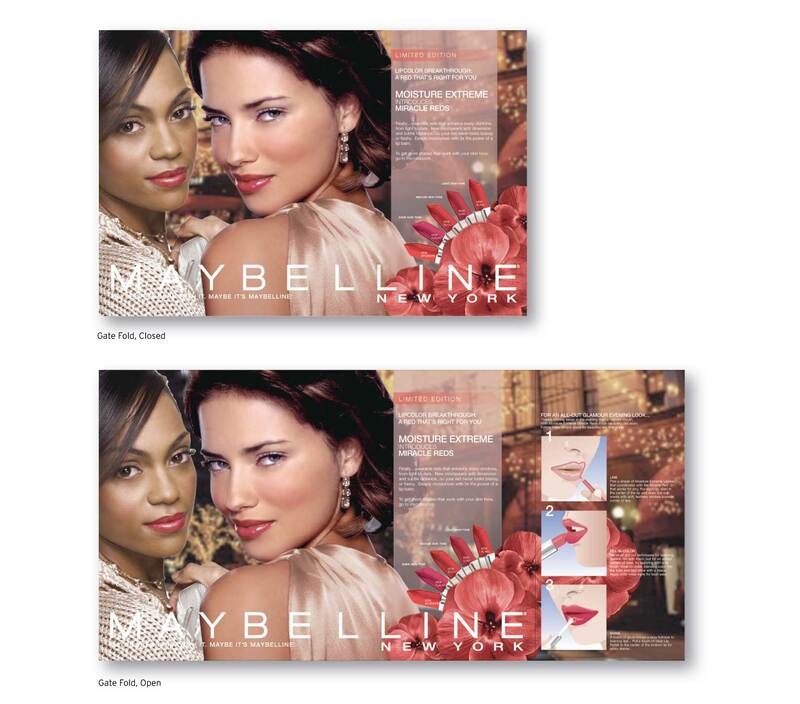 Maybelline, the world’s leading cosmetic brand, came to MSLK to help with consumer education. This would not only help aid in the purchase of the right products, but would also provide application tips and professional-level techniques. 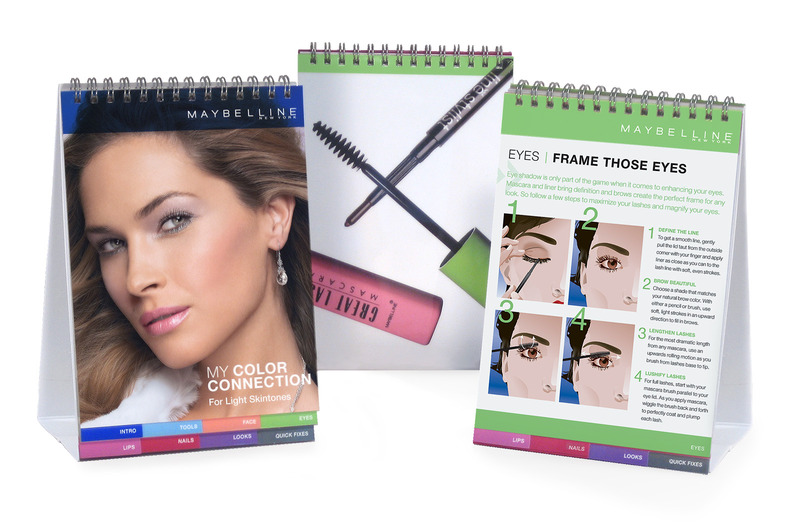 We worked to create new promotions and educational tools across a variety of media. 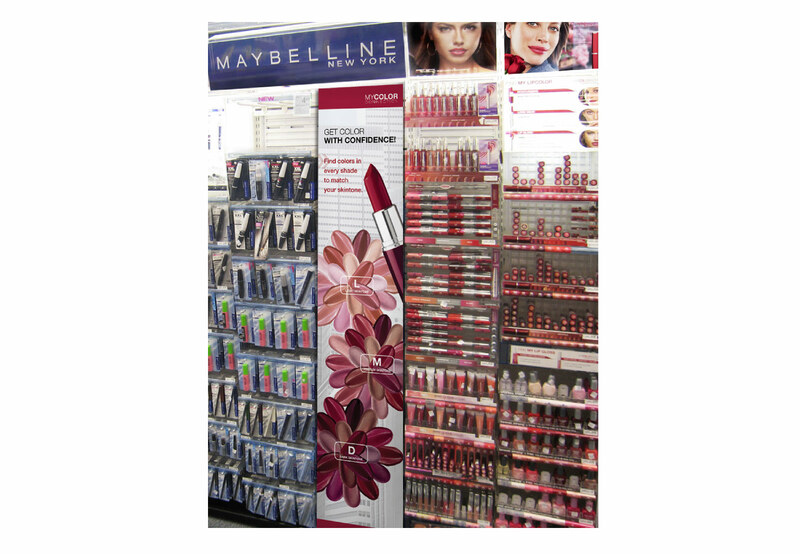 Maybelline New York, the number one global cosmetic brand, struggled with consumer perception that their products did not perform as well as higher-priced brands. Market research revealed that the issue was not product performance, but rather user error. Customers were unaware of the proper methods for application and were apprehensive to experiment with new colors and products. 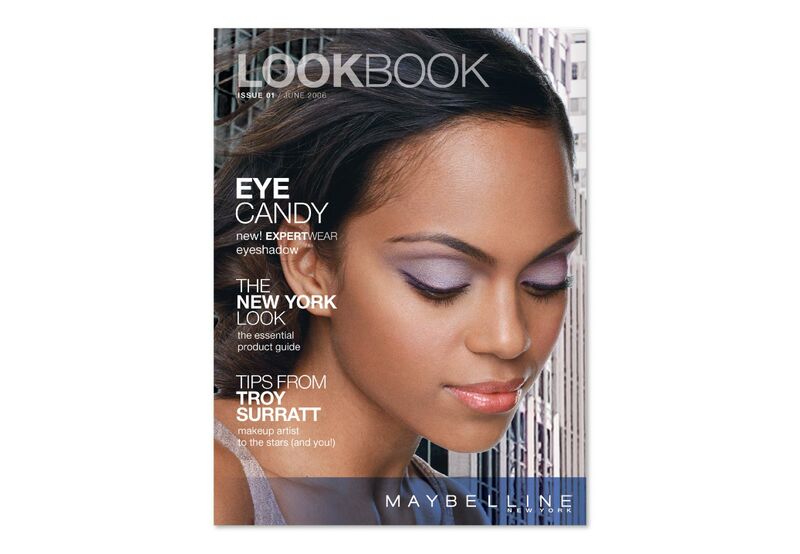 As a result, Maybelline sought to educate their consumers about product application. 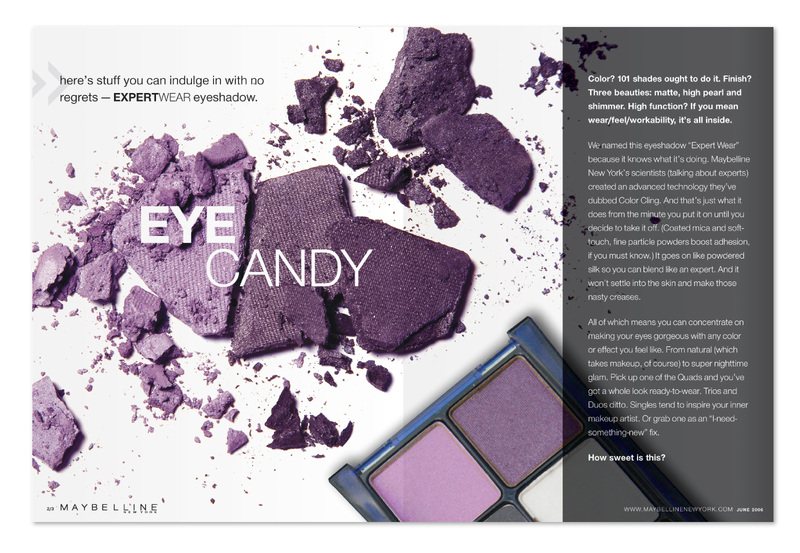 MSLK sought to demystify the makeup experience though a series of educational tools, advertisements, and promotions. 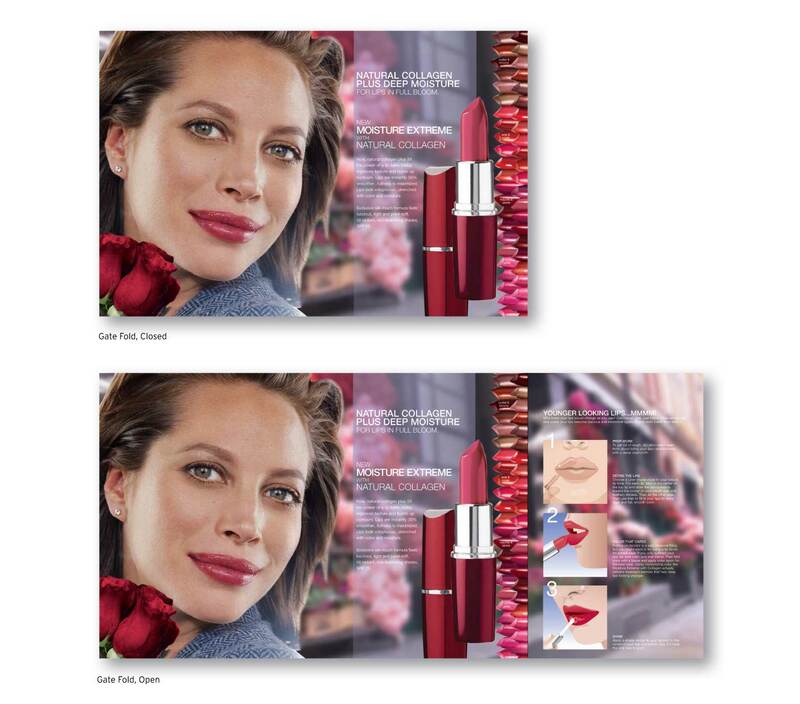 We began with a water-proof, illustrated application guide, full of beauty tips and tricks. 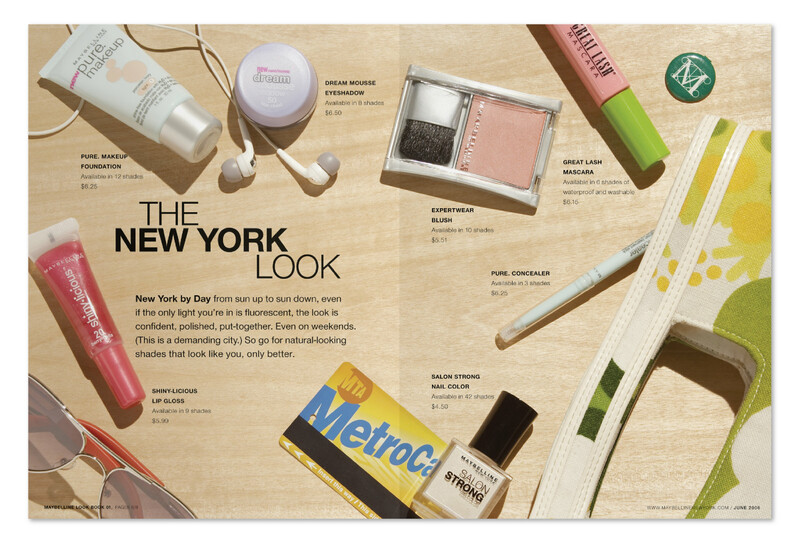 We also strategized a soft-sell magazine full of looks to match a woman's lifestyle and application techniques. We created national print advertisements complimenting TV spots with pull-out application instructions. 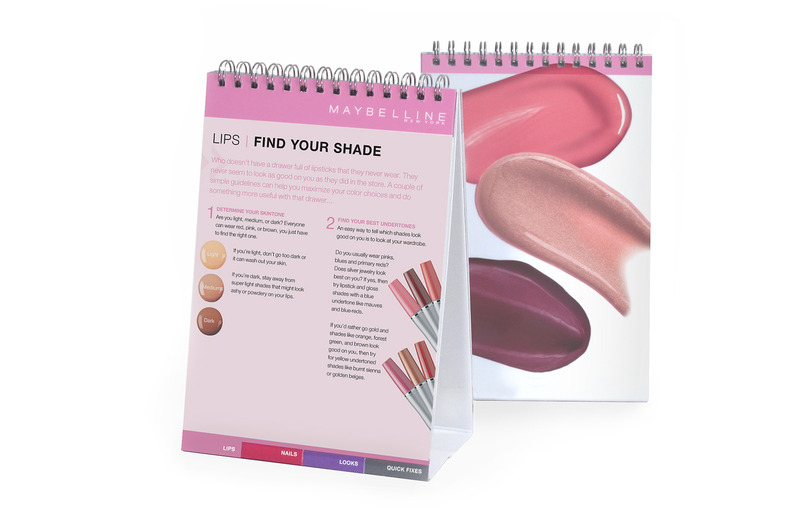 Lastly we created retail display graphics touting the new "My Color" shade system, designed to help the customers find colors right for her skin tone. MSLK's design objectives were to keep it simple and make it beautiful. By showing the application process with step-by-step illustrations, we increased user comprehension. We combined striking imagery with compelling editorial content that was easy to read. Whenever possible, we included removable cards that contained application techniques from experts and information about new products. Women loved these easy, helpful tools and could be seen carrying the removable cards in-store to ask for products. These innovative solutions for beauty and product education continue to be effective and serve as best practices for promoting product and educating consumers.